We are a Portland dryer repair company that has seen just about every dryer problem you could imagine. Drying machines that won’t heat up at all, that take multiple loads to finish, that don’t even turn on, and some that make very loud noises. That’s just the most basic of problems we have faced. Because of our extensive history of being the go-to solution for those in need of a dryer repair in Portland OR, we know exactly what to look for and how to spot which dryer parts may need replaced. We can get your dryer up and running again. No machine is beyond repair. The only thing is whether the machine is worth the cost of the repair. The cost of your dryer repair will depend on the dryer parts that need replaced, the extent of the labor and the specific model of drying machine that you own. Hopefully you have a common make and model, but we have sources for dryer parts in Portland OR for just about every machine made in the past 20 years. If you give us a call today we will find a time that fits your schedule to send a technician out to your Portland OR home. 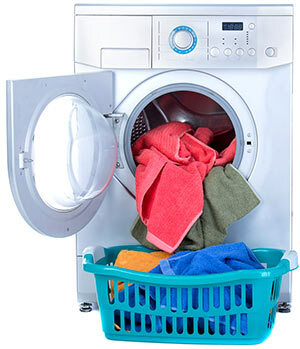 We work quickly to ensure that anyone in need of a dryer repair in Portland OR receives the service that they need. We understand the difficulty of not having a working dryer. So feel free to contact us if you live in the Portland OR area and require a quick and efficient dryer repair solution. The dryer is home to numerous cycling thermostats. If any of them become damaged, it could translate to a decrease in performance for your dryer. A broken cycling thermostat should be replaced as soon as it’s noticed. In some cases, not replacing it could result in the dryer being unable to heat up. You can test the cycling thermostats on your own, but you may want to find a video that walks you through the process first as it can be a little confusing.